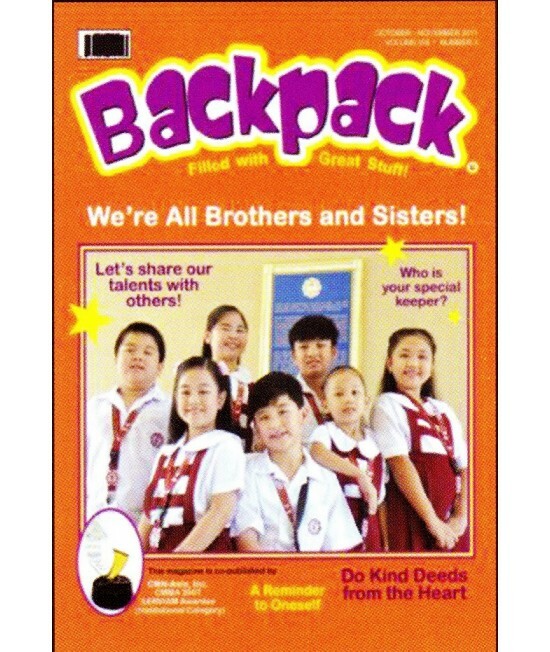 Backpack (Nursery to Grade 3) (Religion) - Philippine distributor of magazines, books, journals, etc. 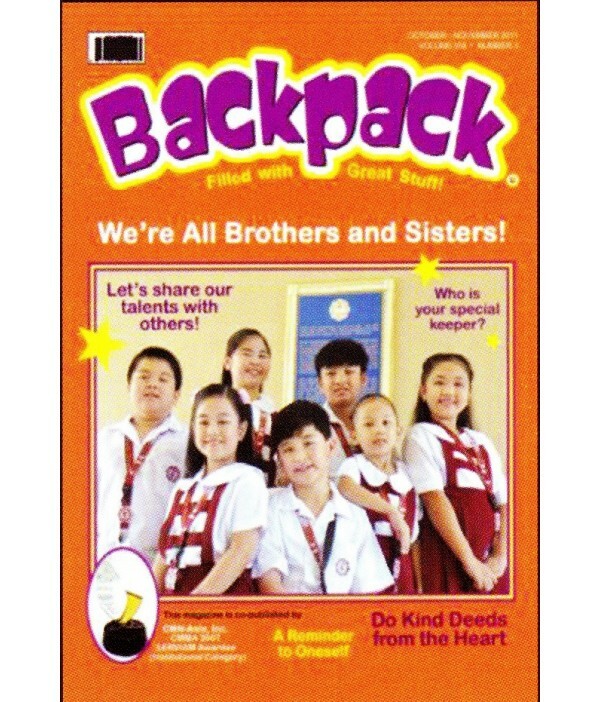 BACKPACK is brimming with activities that help young kids experience fun as they begin their own faith discoveries as they journey in their Christian life. This magazine-journal for Pre-elementary to Grade 3 presents a bagful of great stuff, ranging from crafts to various trivia, to mazes, to stories from the "Great Book:.